A pair of Olympic skiers made their Mount Marathon debuts in dramatic fashion Wednesday, one for winning the race and the other for making an epic climb and then demurring on the downhill. Jessica Yeaton of Anchorage, who skied for Australia at the 2018 Winter Olympics, grabbed victory by a 30-second margin, winning in 51 minutes, 30 seconds. Rosie Frankowski, Yeaton's teammate on the Alaska Pacific University ski team and a member of this year's U.S Olympic team, powered her way up the 3,022-foot mountain far faster than anyone. But she surrendered her lead willingly on the way down when she bypassed a snowfield and instead descended more slowly via the rocks. Frankowski faded to seventh in 56:42. 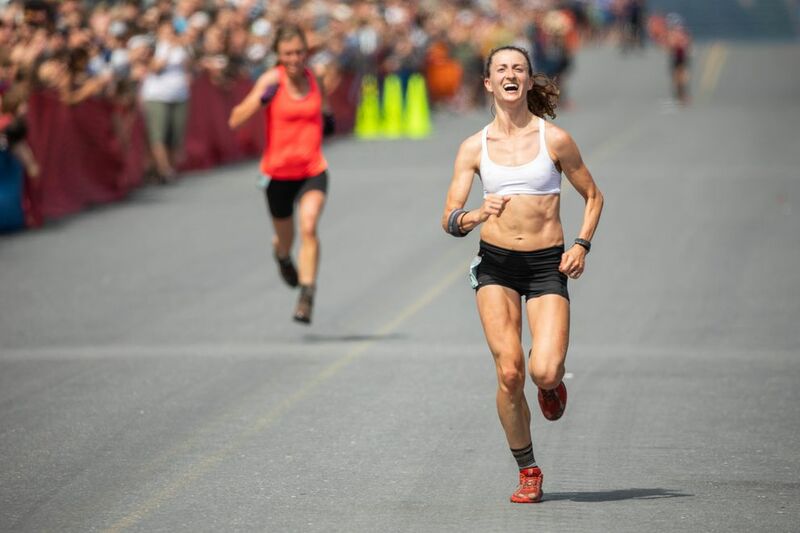 "I train with Rosie every day and she was not stoked about the downhill, so she was like, 'I'm gonna take this (other) route," Yeaton said in the finish chute. Yeaton didn't hold back on her descent. "I know all these girls are so fast on the downhill," she said. No one was faster on the downhill than Denali Foldager-Strabel, a hometown favorite who grabbed a big share of the spotlight. Foldager-Strabel, who grew up in Seward, broke the women's downhill record to vault into second place with a huge personal-best. She was the fifth woman to reach the top, but she rocketed down the mountain in a record 11:27 — beating the previous record of 11:30 — to finish in second place. Her time of 52:00 easily surpassed her previous best of 53:40. Frankowski needed 19 minutes, 36 seconds to complete the downhill — the 92nd fastest time in the field. She said she was happy with her result, and wanted to make sure not to injure herself on the notoriously tricky trek off the mountain. "This is fun, but my primary sport — I'm not going to ruin it," she said. Two-time champion Christy Marvin of Palmer was third in 52:04. Anchorage's Najeeby Quinn posted a huge PR by placing fourth in 52:42, which took more than two minutes off her previous best of 54:07. Boulder, Colorado's Hannah Lafleur placed fifth in 54:02. Yeaton, Foldager-Strabel and Marvin made it into the all-time top 20 with their times. Yeaton's time is the ninth fastest ever, Foldager-Strabel's is 15th and Marvin's is 17th. 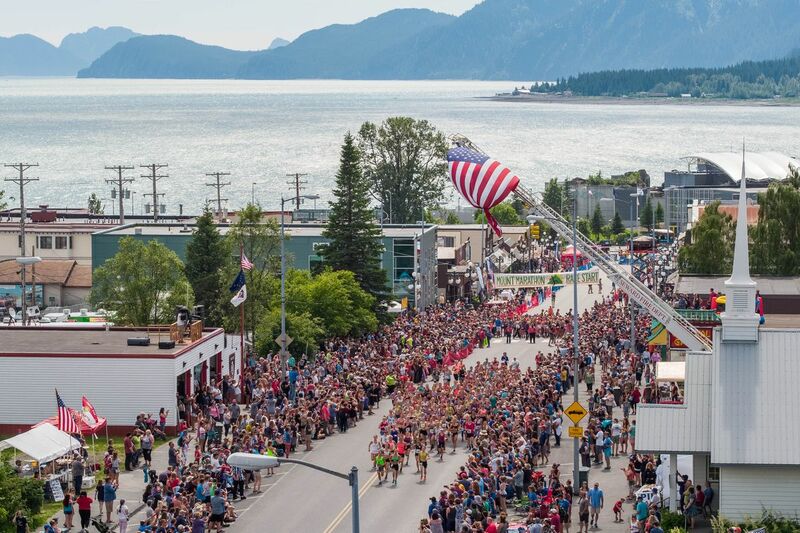 Allie Ostrander, the defending champion from Soldotna who earlier this year won the NCAA 3,000-meter steeplechase, came to Seward with her family but did not compete. Ostrander was spotted at the top of the mountain cheering on other racers. 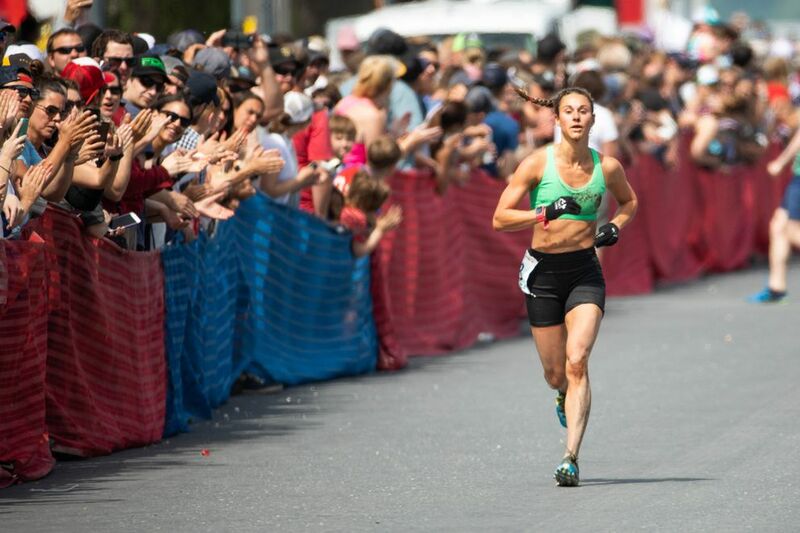 The win gives Yeaton another feather in her cap after winning the Robert Spurr Hill Climb on Bird Ridge last month. 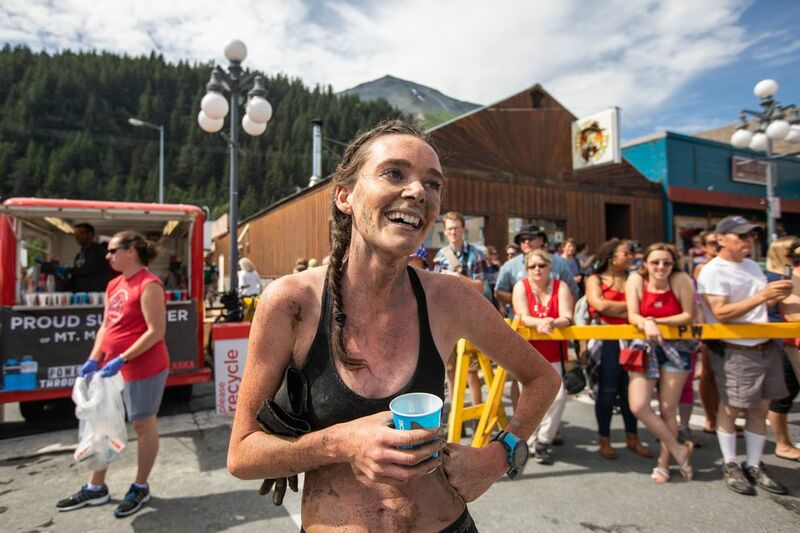 But Mount Marathon is another beast entirely, and Yeaton's wide grin told the story as she celebrated in the finish chute with her fellow competitors. "This feels amazing," she said. Frankowski, whose uphill time was a swift 37:06 — 29 seconds better than Yeaton's — said she'd like to try competing in Seward again. "The downhilll's never going to improve, but it would be cool to look at my uphill time and try to beat that," Frankowski said. Simply getting to the turnaround rock and back again in one piece was a victory in itself for the transplanted Minnesotan. 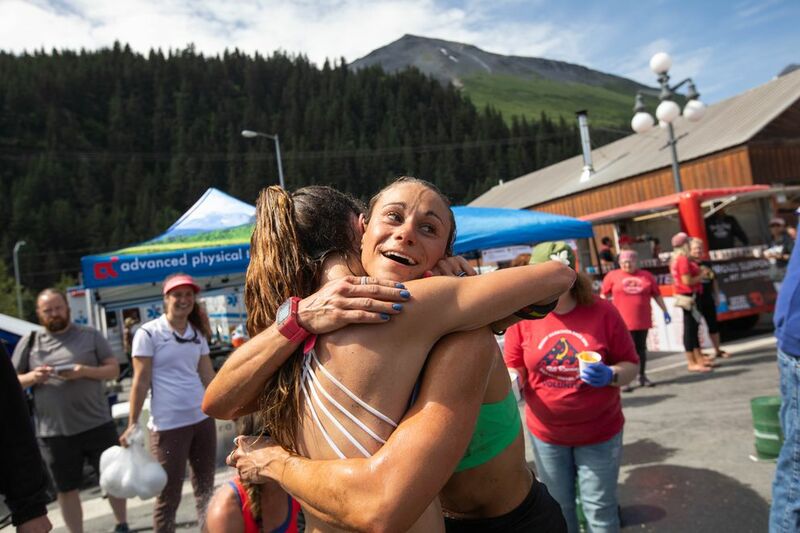 "Four years ago, my first year in Alaska, (Yeaton and I) climbed up to the top and we were like, 'These people are completely insane,' " she said. "And then we both signed up and did it." Frankowski said that if she couldn't win, she was glad her good friend could. "It's just really cool," she said. "I was rooting for her." Also cheering Yeaton on was her boyfriend, men's race winner David Norris. After watching Yeaton win, Norris said he wasn't sure how the couple would celebrate — but he was sure they'd find somewhere in Seward to party. "We're definitely going out," he said.